Intellectual stimulation is by far the greatest aphrodisiac for the Aquarian. There's nothing like a lively chat rich in culture and future possibilities to get this sign going. When it comes to love, people best suited are those that are not thrown off by Aquarian frankness. Open, communicative, imaginative, and willing to risk are all qualities that blend well with this sign's perspective on life. Honesty and sincerity are essential for anyone seeking a long-term connection to this dynamic personality. Even though Aquarians are great with groups of people, it takes a bit when it comes to making close friends. Deeply sensitive and cautious, closeness means vulnerability to an Aquarius, and this is not something to be taken lightly. Aquarians' direct, no-nonsense approach in combination with their strong values can make it challenging to get to know the inner person. Yet those who are able to do so will discover a friendship that lasts through the years. An Aquarius will go the distance for a loved one to the point of self-sacrifice if necessary. They look for creativity, intellect, and honesty in their friends. When it comes to family, the expectations are no less. Although dedicated to a sense of duty to relatives, the Aquarius isn't one for developing close bonds unless the same qualities they expect in their friendships are there. Aquarians bring enthusiasm to the work they do, especially when it involves expression. They have an exceptionally high ability to put their imaginative qualities to the task and to think outside the box. Careers that allow for concept development or demonstration can suit this sign well. "I know" is the key phrase for the Aquarius. High intellect combined with an Aquarius' willingness to share their talents inspires many who work in the same environment. 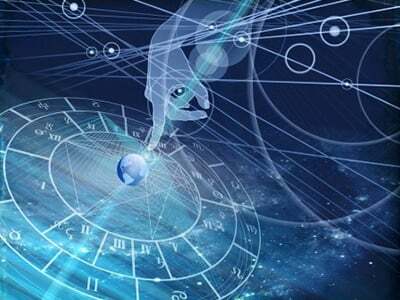 Being visionary types, Aquarians love to engage in careers that aim to benefit humankind in the long-run. When it comes to money, this sign really has a knack for keeping a healthy balance between having the things that they need and putting money away. When they are out shopping, the shiny, glittery, and extravagant will catch their attention even though their homes are generally decorated with great taste. It's not uncommon to find the Aquarius turning heads dressed in daring, brightly colored outfits. Most are well-attuned to their individual sense of style and aren't afraid to show it.